We take a look at the most important window cleaning tool - The Squeegee! If you want your window cleaning adventure to go smoothly the one item in your arsenal you don’t want to skimp on the price is the squeegee. The squeegee is to window cleaning as the instrument is to a musician, if it is not in perfect working order the results will be poor. 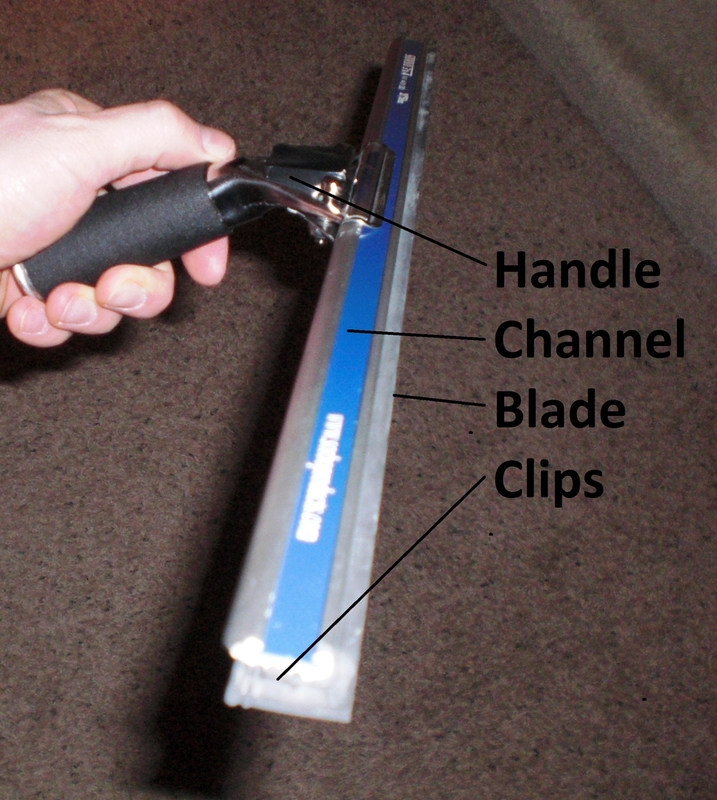 A window cleaning squeegee comes in two forms, a fixed handle which means each length of channel has its own handle. Secondly is the quick change one which means you can change out the channel to a different length very quickly. I personally use a quick change one since washing windows on a home has you facing many different sizes of windows. Clips – These hold the rubber in the channel on each end, good to have a couple extra on hand. TIP - When using the squeegee it is important that the rubber does not have any damage on it, if it does replace the rubber as it will lead to small streaks of water left behind and result in a poor job. TIP – When starting to wash your window make sure you dry the blade with a clean towel first, this is important every time you get ready to place the blade on the glass.